Whether you plan to shop online or in-person at a store, follow these quick tips to help protect your personal information and make shopping safer this season. November brings two of the busiest shopping days of the year, plus some potential security risks, even if you never leave the comfort of your home. Because we care about protecting your budget, we also care about protecting your finances in other ways. Follow these quick tips to help protect your personal information and make shopping safer this season. People shop on Black Friday and Cyber Monday because that’s when they can often find the best deals of the year. But these are also popular times for criminals to prey on unsuspecting shoppers. Cyber thieves cleverly take cues from the best-selling items to create fake sites or social media posts offering too-good-to-be-true deals. 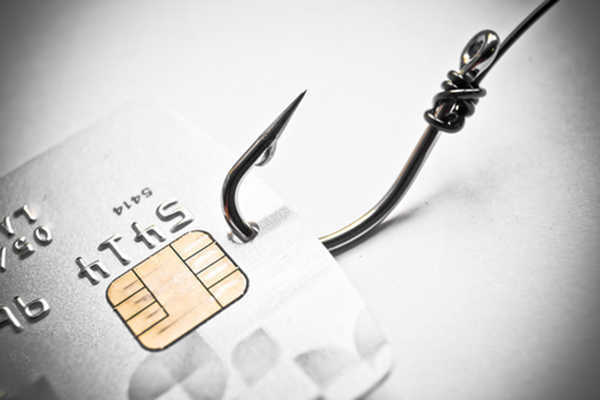 This is a form of phishing used in identity theft and a common way for crooks to steal your credit card number and other personal information. A Better Business Bureau logo on a “merchant’s” site isn’t always proof of a legitimate affiliation. Truly, anyone can add the BBB logo on their site. To be sure, it’s best to verify directly with the BBB. You can also conduct your own online research to see if there have been any complaints or fraud allegations against a company. If you do an online search for an item and discover a great deal, only click on known, trusted vendors. Otherwise, you risk your credit card security, and you may even be vulnerable to getting a nasty computer virus or malware. This can not only affect your computer, but those of your contacts. If you decide to buy online, only trust reputable sites with a secure SSL checkout. Secure site addresses start with “https” instead of “http” and often have a padlock or unbroken key icon to indicate they are protected. 2-Step Verification adds an extra layer of security to your account by preventing anyone from accessing or using your account, even if they know your password. This can come in handy when you shop online with Amazon, for example. Here’s how it works: Typically, you sign in with your password and must enter an additional code that’s sent to your phone. Naturally, there’s always some risk with online shopping, but these safeguards can help protect you. Criminals are crafty, and it doesn’t take much for them to create a convincing email that looks like it’s actually coming from your trusted retailer. Occasionally, these fake emails will tip you off with poor grammar, typos or incorrect account information. But, unless you’re 100% certain the email is legit, don’t click on any links. These links could potentially allow spyware to be installed on your computer, giving hackers access to your private information. You can choose to be notified by your bank and credit card Company via text, email or phone for a variety of reasons. They’ll often contact you if they notice suspicious credit card activity or when your checking account balance dips below a minimum level. These alerts are helpful in keeping tabs on your debit/credit card activity and can help you know more immediately if someone else is accessing your personal account. More and more people are using this mobile payment technology to make cardless transactions when paying at the register. The advantage is simple: You don’t have to carry around credit cards that you could easily lose. Instead, your mobile device contains encrypted account information that allows you to make seamless transactions at the retailer. Of course, not all stores are equipped to process payments this way, but it is becoming more mainstream thanks to the popular use of smartphones. One potential problem? You forget to bring your phone, or it gets lost or stolen. Skimmers are small devices that can scan and store credit card data from the magnetic stripe. Dishonest store employees who may have been hired to help during the busy holiday shopping season can scan your card at the register and then swipe it through their own small, handheld skimmers. Once the card is run through the skimmer, the data is recorded, and these thieves can sell your information, at which point counterfeit cards are made. Watch for cashiers who ask to swipe your card for you, turn their backs to you when they swipe your card or temporarily walk away with your card. This is really the only way to be sure your identity won’t be stolen. Of course, most people don’t carry around much cash these days, so you may not have enough with you to pay for large ticket items. Also, when you pull out cash from your wallet, it could make you an easy target for opportunistic thieves. Even in today’s cyber world, old-fashioned stealing is still common. Quick-handed and skilled thieves can grab wallets and be gone in seconds. If you’re not careful, pickpockets can also easily steal items directly from your shopping bags. Stay aware of your surroundings, and never leave your purse, wallet or shopping bags in an unattended cart, on a countertop or bench.